The One with Teaching a Studio Calico Class - STITCHED! Keeping secrets is not my forte! 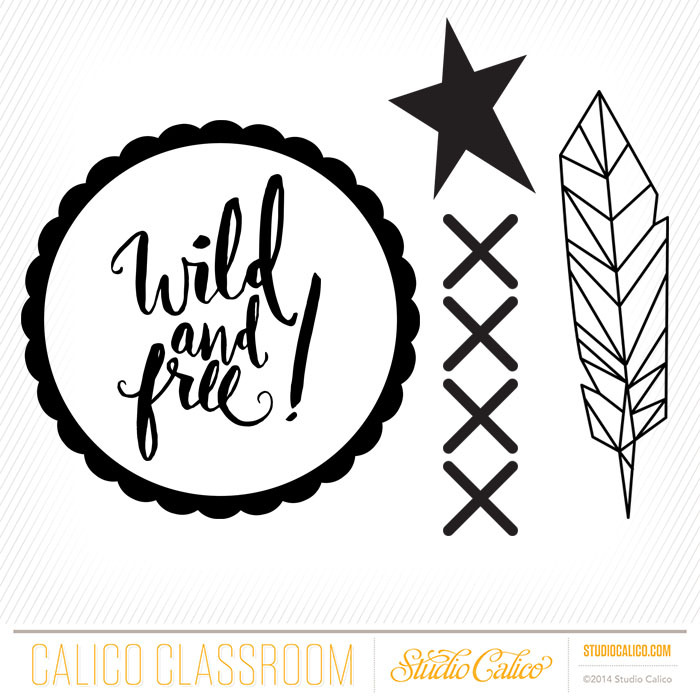 So I'm super glad I can finally divulge a big one - I'm teaching a class with Studio Calico called STITCHED! 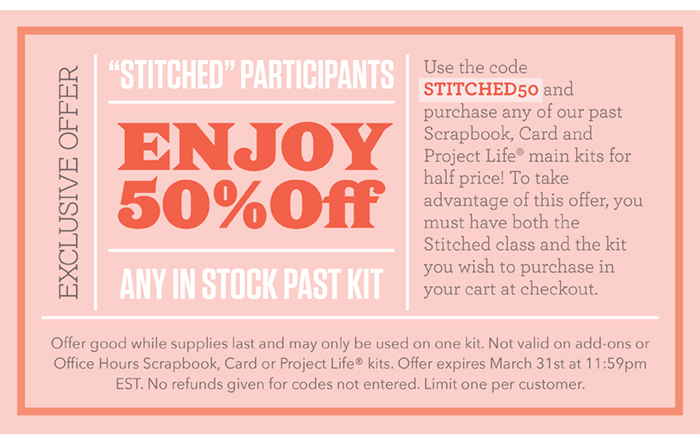 I stitch on seriously 90% of my layouts and cards. I LOVE the unique and home-spun look machine and hand stitching gives my layouts. In this class I'll be teaching (along with some ultra awesomely talented scrapbooking friends - Allison Waken, Amy Tan, Becky Novacek, Beshka Kueser, Carissa Wiley, Erin Stewart, Gina Lideros, Heather Leopard, Katie Ehmann, Lea Lawson, Leena Loh, Lexi Bridges, Meghann Andrew, Nicole Samuels, Pam Baldwin, and Robyn Werlich) 24 unique techniques for adding stitching to your layouts, cards, and Project Life® spreads. 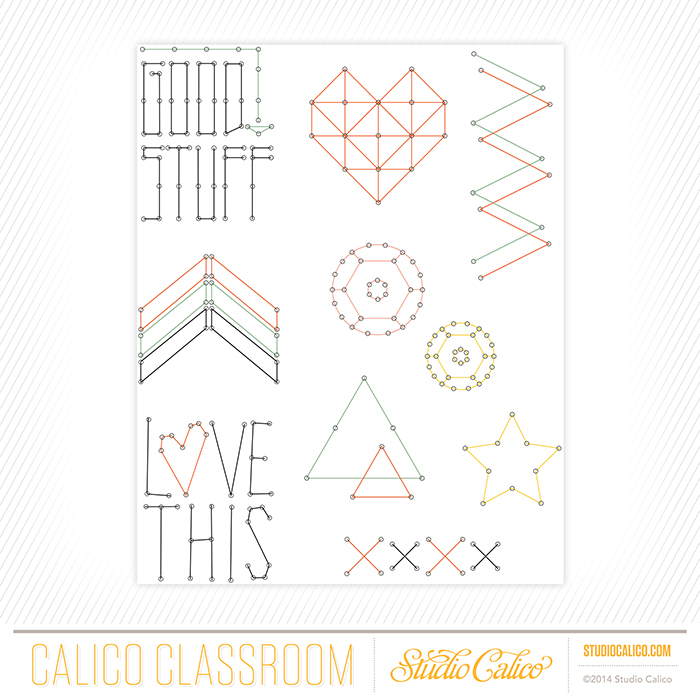 Here is the kit that ships with the class full of journaling cards with stitching templates, exclusive stamps, an actual stitching template, wood veneer stitchable tag, gold floss, and more! I've seen them with mine own eyes, printed them, cut them, stamped them, stitched them, and I must say, they're stellar! I'll be making 8 layouts and 4 how-to videos that will post all throughout the month of April. 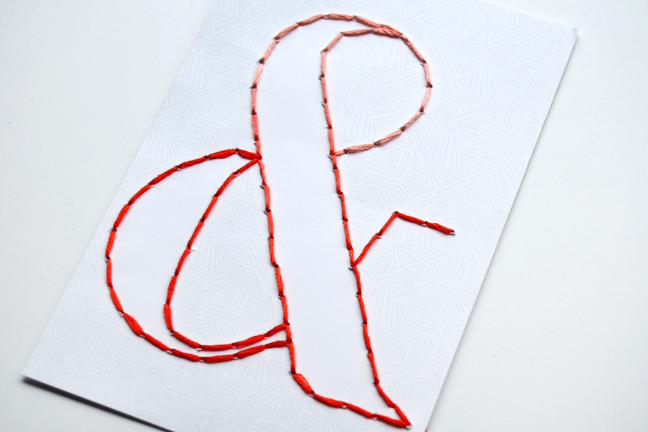 Here is a close up of one of the journaling cards I stitched through with red/pink ombre thread. Can't wait to add this to a layout! 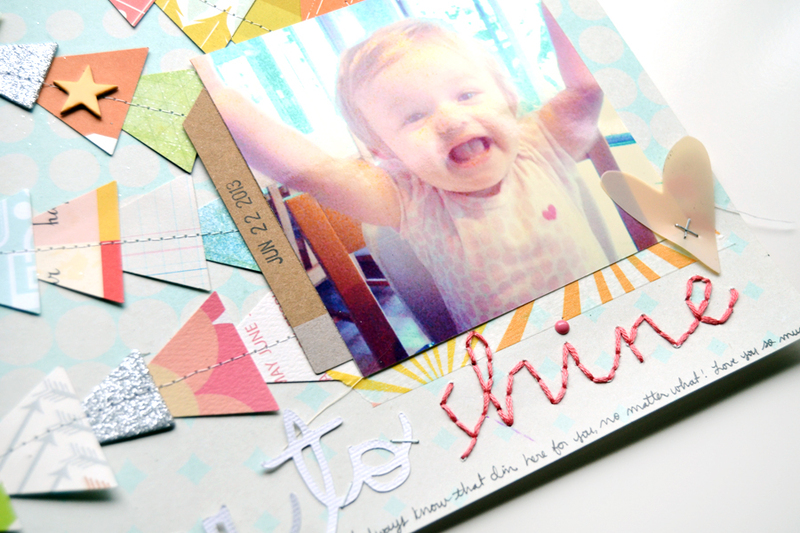 Here's a little sneak peek of one of the layouts where I stitched with the template the word "shine"! 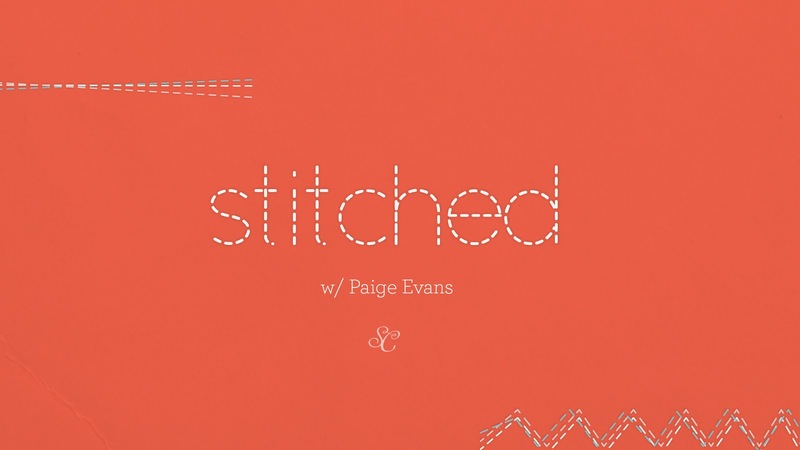 Registration for STITCHED will close on 3/31/2014 at 11:59pm EST. 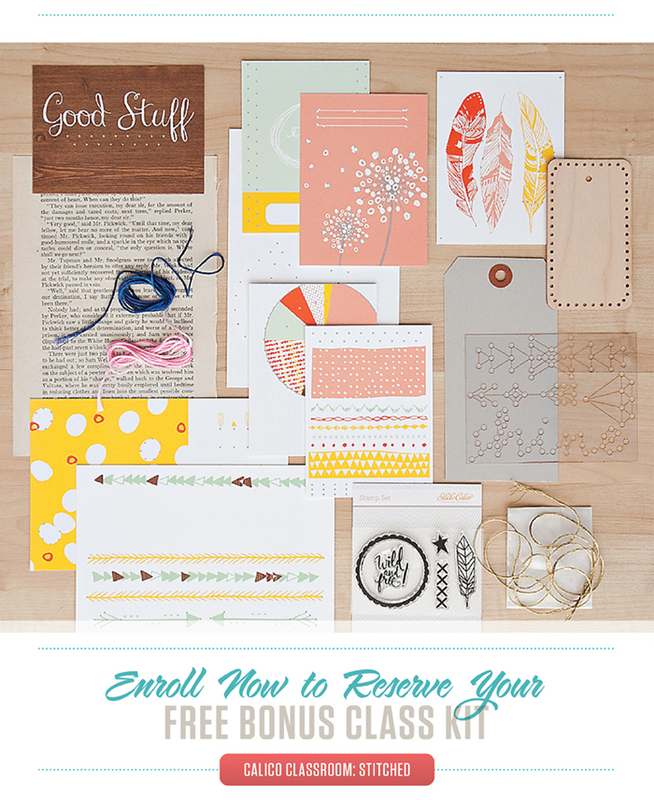 Class begins on April 1, 2014! Hope to see you in the classroom!! Wow! This looks like it is going to be great! Congratulations! 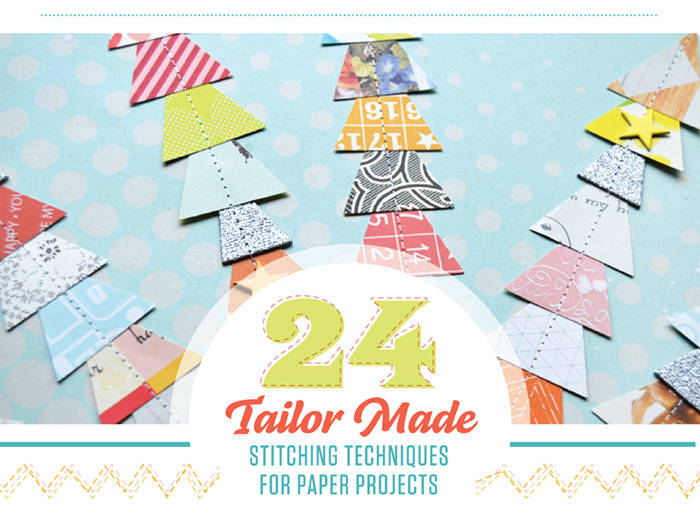 Will you be teaching machine stitching too? How exciting!! You know I loveeeeee the stitching!!!!! So excited to be part of this. Your sneak looks amazing! Looks like an awesome class, Paige! And your sneak is so cute! You know I'm so in, Paige!! Can't wait!! !